The counselling of the so-called “bin-Clearingstelle des Paritätischen Bildungswerkes” starts clarifying questions on the residential status. In addition, wishes and goals concerning your professional development as well as qualifications and job experiences are discussed. 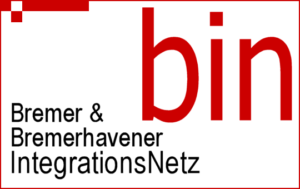 Together you will find out, what kind of offerings within the “bin-Netzwerk” (Bremen/Bremerhavener Integrationsnetz – integration network in Bremen and Bremerhaven) or which external partners suit you best in order to support you on your way into the German job market. These external partners can be “Weiterbildungsträger” (agencies for further education), enterprises that do vocational training or counselling centres. The advice is offered in English, Arabic and Persian.